Contributions can be debited automatically from your checking or savings account or processed using your credit or debit card. Our electronic giving program offers convenience for you and provides much-needed donation consistency for our congregation. If you are currently giving on a weekly basis, you will no longer need to write out 52 checks a year or prepare 52 envelopes. And, when travel, illness or other circumstances prevent you from attending services, this program will allow your weekly offerings to continue on an uninterrupted basis. For those members who are currently using and want to continue our ACH automatic draft option for their giving on the 1st and/or 15th of each month, this option will continue to be available with no change. Contact the church financial office if you have questions. 4) Follow the onscreen instructions to create an online profile and make a gift or schedule your recurring contributions. If you are not a member or have any problems registering on our website you may call the church office for assistance in setting up an account at (573) 634-3603. Our members and guests may also give from their mobile devices during our services. 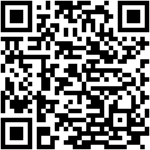 With an appropriate QR app, scan the QR code printed below and in our worship bulletins to bring up our secure mobile giving. You can enter an amount, select the fund where your gift should go, and add a memo if needed. You may download the Church Life app in your app store and login to the account you set up in AccessACS above. (The app can be downloaded from either the link above or directly from iTunes or Google Play.) This will allow you to make a gift in just a few seconds during the offering in our worship service. Just select giving from the Church Life menu and follow the instructions to make your gift. The Church Life app will also provide you access to the church directory and church calendar. Just follow the instructions above to set up an account, download the app, and login to get started. You may contact the church office if you have questions or need assistance. Thank you again for your faithful support of our church’s ministries.